다물체 동역학 (MBD) 시스템은 강체들과 링크들로 구성되고, 그들 상호간의 운동을 제한하는 조인트에 의해서 연결됩니다. MBD 해석은 주로 정방향 동역학이라고 불리는, 기계 시스템이 주어진 하중 조건하에서 어떻게 거동할 것인가를 분석하는 과정입니다. 역방향 문제의 경우는, 기계 시스템이 특정한 거동 양상을 보이기 위해서는 어떠한 하중 조건이 필요한 가를 역으로 추적하는 것인데, 이것은 역방향 동역학이라고 불립니다. 많은 제품 설계에서 여러 자동차 부품의 상호 작용과 환경에 대해 파악하는 것이 필요하기 때문에, 모션 해석은 중요합니다. 자동차나 항공기, 세탁기와 조립 라인까지 가동 부품에 의해 하중이 생성되지만, 많은 경우 그 예측은 쉽지 않습니다. 복잡한 기계 조립품의 설계에는 시스템 레벨의 동역학 해석이 반드시 필요합니다. 정확한 모델링을 위해서는 전자제어 시스템과 그에 반응하는 부품 및 연결요소들뿐만 아니라 진동, 마찰, 소음과 같은 물리적 현상 등의 다양한 요소들도 포함되어야 합니다. 모션 해석은 설계의 성능, 안전성, 편의성 등 중요한 특성을 신속하게 평가하고 개선해 이러한 문제를 해결할 수 있습니다. 모션 해석에 대한 MSC의 솔루션은 동역학 해석의 광범위한 다양한 기능에 모두 적용이 가능하며, 풍부한 기능과 사용하기 쉬운 Pre/Post GUI 환경 및 업계를 선도하는 솔버들을 통해 이를 구현하고 있습니다. Manufacturing: 로보트 조작, 컨베이어 벨트, 펌프, 공작기계, 포장재 기계류, 기어, 스테퍼 & 서버 모터. Heavy Equipment: 굴삭기, 농기계, 유압 제어 시스템, 무한궤도 차량, 포크 리프트, 놀이공원 기구. Consumer Products: 스포츠 용품, 자전거, 공구류, 프린터. Import CAD neutral geometry formats including STEP, IGES, DXF, DWG or Parasolid. Import native CAD geometry formats including CatiaV4, CatiaV5, Inventor, STEP, IGES, Acis, ProE, Creo, SolidWorks, Unigraphics, VDA. 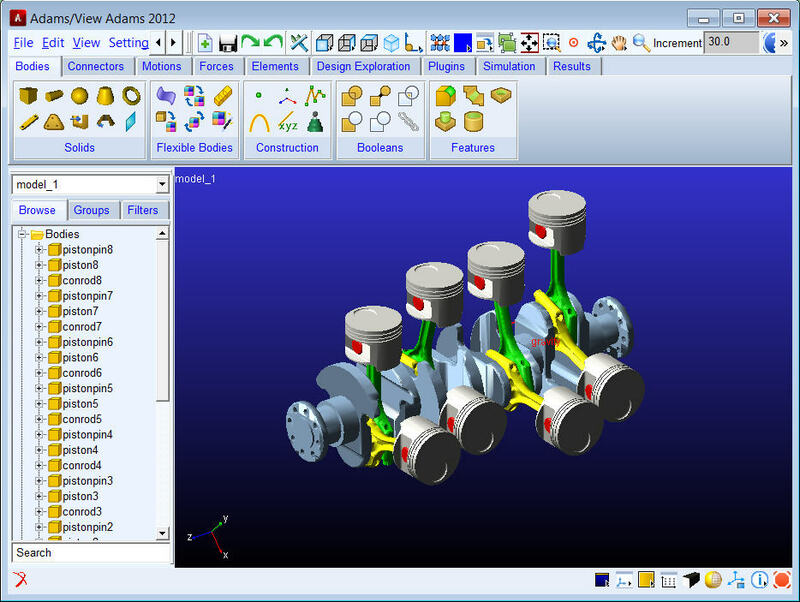 Adams provides technology to correctly include a component’s flexibility even in presence of large overall motion and complex interaction with other modeling elements. 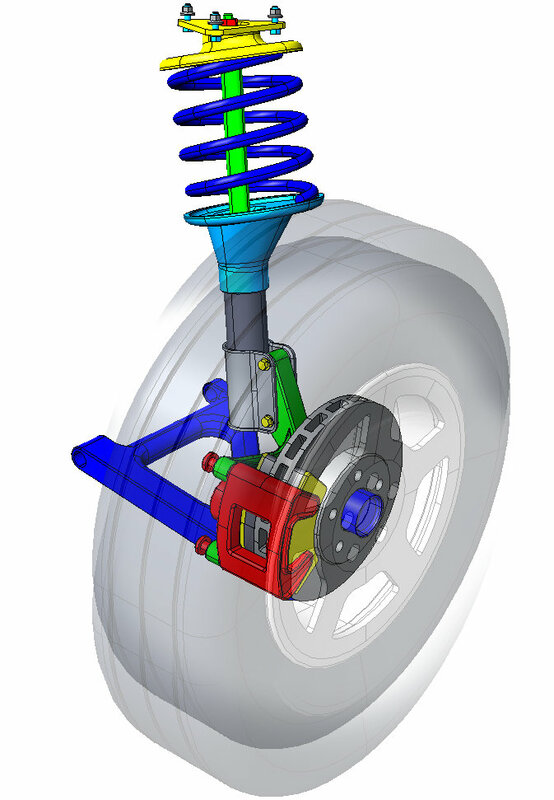 Systems typically contain one or more structural components where deformation effects are paramount for design analyses and the rigid body assumption is no longer valid. Adams/Flex allows importing finite element models from most major FEA software packages and is fully integrated with Adams package providing access to convenient modeling and powerful post-processing capabilities. The ViewFlex module in Adams/View enables users to transform a rigid part to an MNF-based flexible body using embedded finite element analysis where a meshing step and linear modes analysis will be performed. It is our new product module powered by MSC Nastran, allowing one to create flexible bodies without leaving Adams/View and without reliance on 3rd party Finite Element Analysis software. Also, it’s a streamlined process with much higher efficiency than the way users have traditionally generated flexible bodies for Adams in the past. With functionalities like Adams2Nastran export and ViewFlex, Adams introduces bi-directional integration with MSC Nastran that allows re-use of validated Adams models to perform modal and frequency response analysis. An important part of many multibody systems is the contact that occurs between the parts. 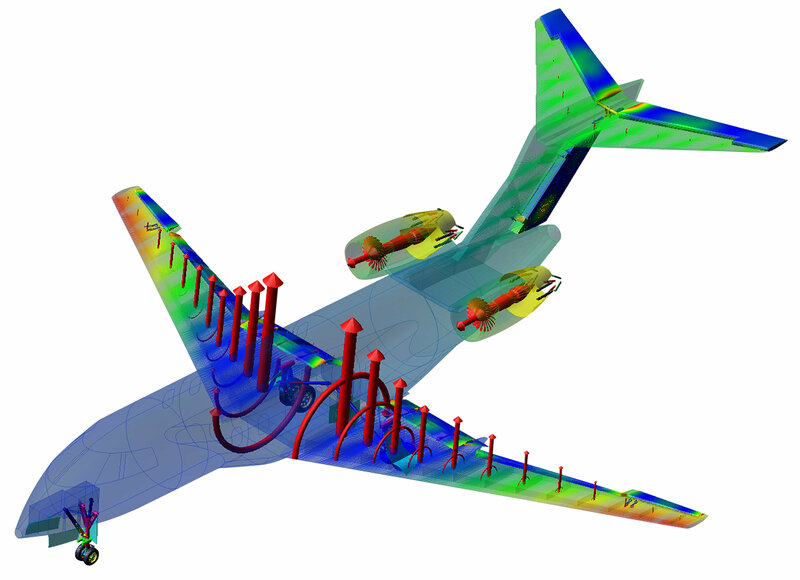 MSC’s motion analysis offerings provide a variety of contact modeling functionality. Rolling and sliding contacts and impact can be represented between rigid bodies, flexible and rigid bodies as well as between two flexible bodies. Contact primitives provide a highly-efficient solution for simple geometry. More sophisticated methods are used for contact between complex geometries both rigid and flexible. In no case is a previous knowledge of "contact regions" required. Durability issues discovered too late in the development cycle will cost you time and money. If they are not addressed before product launch they will lead to high warranty costs and low customer satisfaction. Durability testing is a critical aspect of product development. The ability to answer the question “Will it last?” can affect not only the design of a component, but the entire system. Good durability characteristics often conflict with other attributes, such as ride and handling or NVH, and finding a way to balance competing requirements is necessary. Accurately replicating durability tests is an important step on the path towards optimal design. 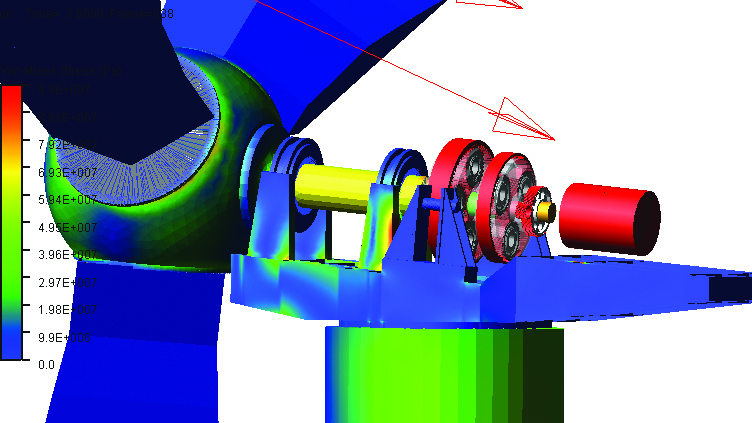 MSC solutions allow one to assess stress, strain, or life of components in your system model. By interfacing to fatigue programs life predictions and factor-of-safety analyses are possible. Model correlation and process streamlining is enabled through direct access to physical test data in industry-standard file formats. MSC’s products also allow one to extend the component mode synthesis capability used for flexible body integration and recover stresses on flexible bodies. Results from a motion solution are combined with modal stresses from FE to more accurately predict the stress in a flexible component. All stress or strain resulting from external forces or constraints and inertia effects can be recovered in the most efficient way. Perform system-level vibration analyses like frequency response studies and normal modes analysis. MSC solutions provide vibration-specific modeling elements like frequency dependant bushings and forcing functions for power spectral density, swept-sine and rotational imbalance. Coupled with vibration and frequency-domain specific post-processing, this leads to easy analysis and visualization of system modes, frequency response, modal participation tables, component energy distribution, etc. Many physical systems are a combination of mechanical components actuated by pneumatic, hydraulic or electrical subsystems that are controlled by electronic control units. System models need to fully account for actuation and control systems effects to correctly capture the behavior of the complete assembly. Typically, control systems are best represented by block diagrams with results viewed in plots and motion models are commonly represented by three dimensional geometry with output viewed in graphical animations as well as plots. Incorporate mechanical models within block diagrams of the control system design software itself or directly import the actuators and/or controllers from the controls design software in the mechanical system simulation environment. Such interaction is supported with MATLAB/Simulink and EASY5 software. For simple design problems, one can explore and optimize the behavior of mechanical systems using a combination of intuition, trial-and-error, and brute force. However, as the number of design options increase, these methods become ineffective in formulating answers quickly and systematically. Varying just one factor at a time does not give you information about the interactions between factors, and trying many different factor combinations can require multiple simulations that leave you with a great deal of output data to evaluate. To help remedy these time-consuming tasks, MSC provides planning and analysis tools for running a series of experiments that helps to determine relevant data to analyze, and which automates the entire experimental design process. This helps increase the reliability of your conclusions, get you answers faster than trial-and-error or testing factors one at a time, and help you better understand and refine the performance of your mechanical system. Time is saved and a broader user audience can be reached by tailoring the analysis environment for specific needs. 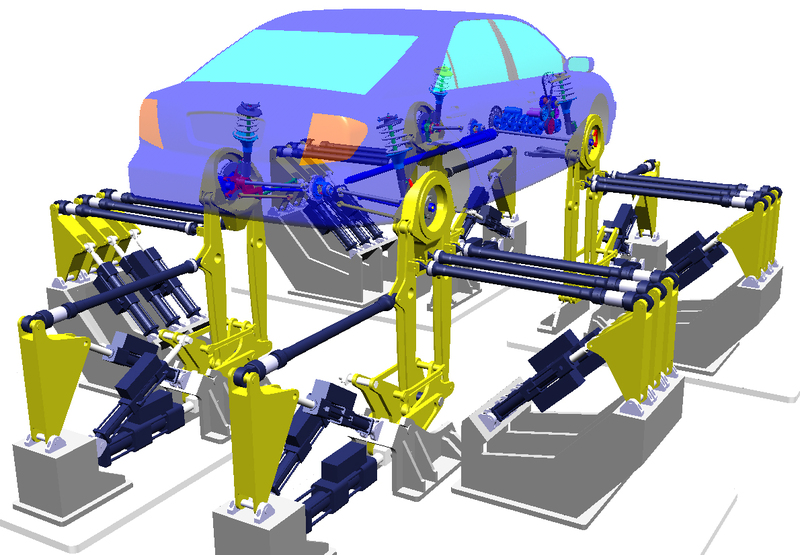 MSC’s motion analysis solutions provide multiple means of automating the model construction, solving, and post-processing activities. 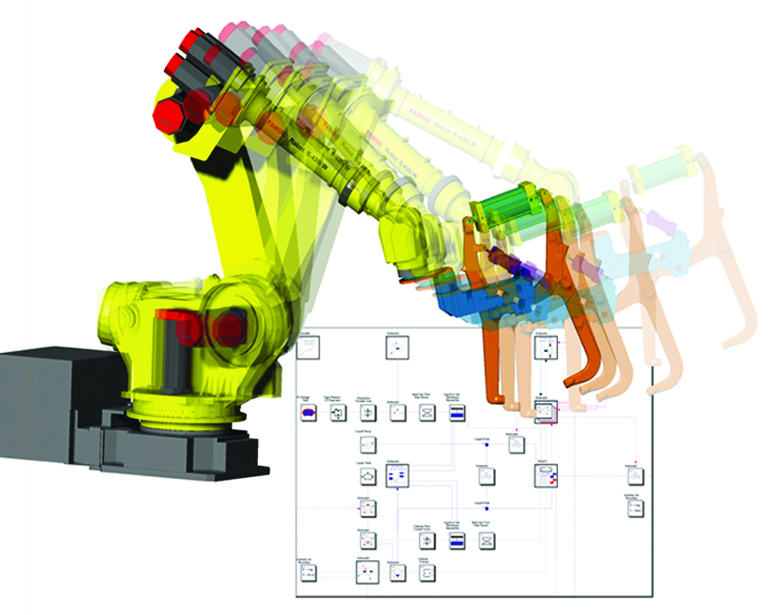 Model construction can be automated by macros or templates. Custom interfaces can be created and incorporated directly into the “off-the-shelf” tool. And, powerful industry/application-specific packages are available from MSC and our business partners.